The breathtakingly beautiful mountain-top town of Guadalest has a handful of museums to tempt you. One is the Micro-Gigantic Museum, in Calle Iglesia, which is every bit as weird as it sounds. 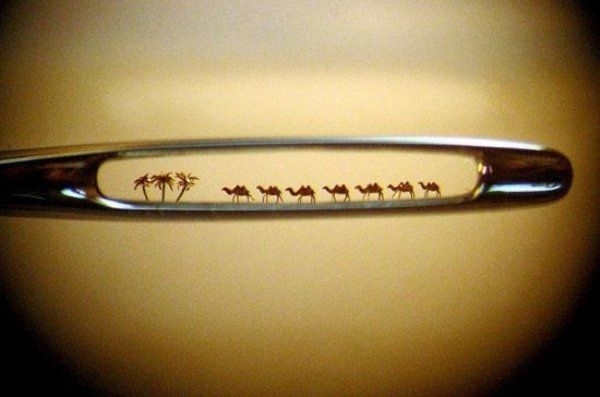 On the one hand, you have the smallest exhibits in the world. On the other side, there are giant sculptures. It bills itself as the ‘most incredible in the world’ and it would definitely be hard to beat. The collection includes a bullring built on a pinhead, the Bible on a section of hair, Ruben’s ‘Three Graces’ carved on the point of a pencil, a Greco painting on a grain of sand and a flea riding a bike. A few streets away in Avenida de Alicante is another wacky collection of more than 20,000 salt and pepper pots. For more than 30 years Andrea Ludden has been collecting many different figures including birds, chickens, cats, dogs, astronauts and washing machines. These date from the 19th century to the present day. The most macabre museum is dedicated to Medieval Torture. Over in Calle Honda, you’ll find a collection of about 70 instruments of torture used to interrogate and punish people accused of witchcraft, heresy and infidelity during the Holy Inquisition in the 15th century. Instruments include the Axe, The Wheel, The Bat, The Guillotine, the Iron Mask and various chastity belts. This is not for the faint-hearted! Albeit a small town, Guadalest is home to nine museums altogether, including a collection of historic vehicles and an art collection. Further south in the bustling holiday resort of Torrevieja, you will find two very interesting museums, which play tribute to the city’s rich maritime history. 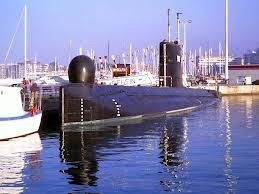 The S-61 Delfin sub became the first Spanish Naval ship to be turned into a floating museum. The first thing that strikes you is how small it is. After stepping inside, you can feel the walls closing in as you imagine what life was like for submariners spending weeks or months under water in such cramped conditions. The sub is one of the most popular museums with more than 1,300,000 visitors since it was inaugurated in 2004. On your way in to Torrevieja by road, you will notice huge white mountains of salt. This natural resource provides a thriving industry for the resort and it produces 700,000 tons a year, which is exported across Europe for a variety of industrial uses including de-icing roads. The Museum of Sea and Salt reflects the important roles that the sea and salt have played in Torrevieja throughout history. An historic church in the centre of Orihuela is the ideal setting for the city’s Easter museum in Plaza de la Merced. 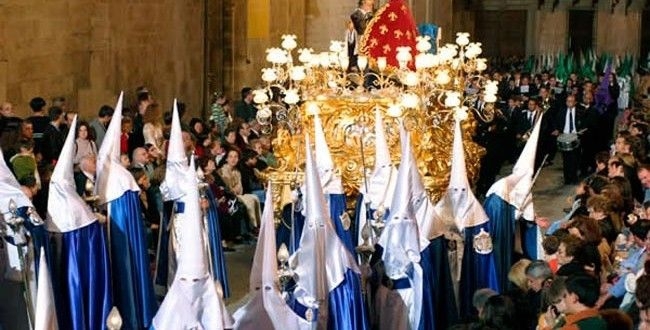 This is a very important time for Orihuela which commemorates the Crucifixion and the Resurrection of Christ with magnificent parades through the streets. Each neighbourhood carries impressive larger-than-life statues through the streets depicting Easter scenes. Many are on display in the museum including splendid works by the 18th century Murcian sculptor Francisco Salzillo. Statues also take centre stage in Alicante city. 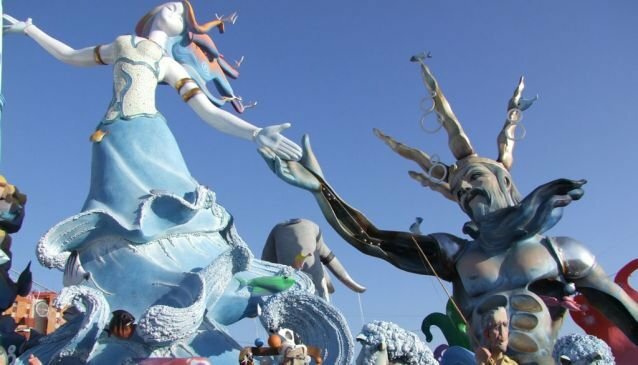 However, these are giant satirical statues made of papier-mache which are put up in the streets in June and then burnt to a cinder on San Juan night, June 24. This is known as the Hogueras de San Juan. If you can’t make it for this special fiesta, you can always pop in to the museum dedicated to the hogueras in Rambla de Méndez Núñez. The museum tells the history of this fascinating festival as well as displaying various colourful statues which have been saved from the fires throughout the years. Puppets have been entertaining youngsters and the young at heart for centuries. In more recent times, there are Punch and Judy shows on the beach, Andy Pandy, The Muppets and Fraggle Rock. Enjoy a drive inland to Albaida, which has an international puppet museum. 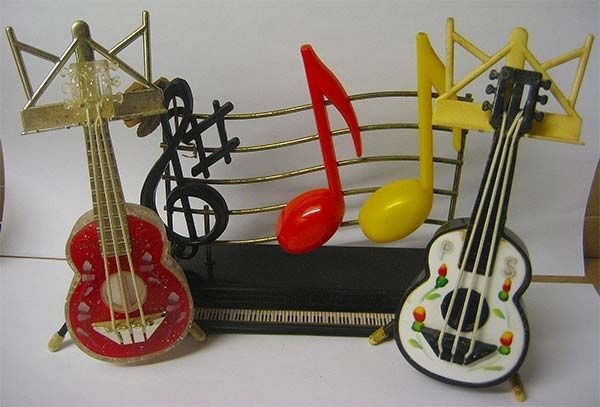 Another museum which will bring back childhood memories for many is the Toy Museum in Denia. 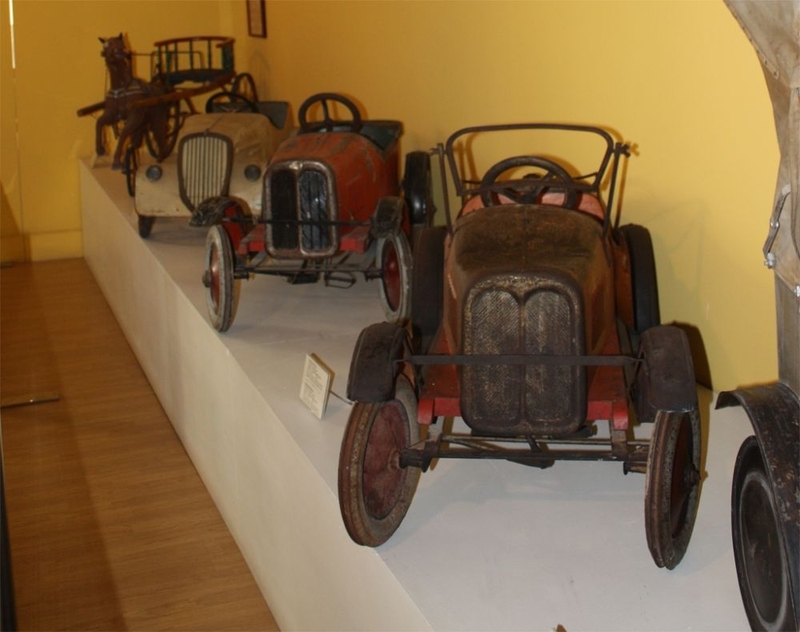 The resort had a thriving toy industry from the turn of the 20th century creating wooden and tin toys such as cars, carts, sailing boats and cowboys and Indians. The industry died out in the 1960s. Our Top 10 weird and wonderful museums ends with the fascinating Botijo Museum in Villena, which houses a private collection of about 1,200 clay water jugs from around the world. The botijo, or drinking jug, is a classic symbol of Spain with people in the villages drinking cool water straight from the jug – which is an art in itself. There are only two botijos museums in Spain and this fine collection has some rare and interesting examples from countries as far afield as Russia, Argentina, Peru, Mexico and Turkey.